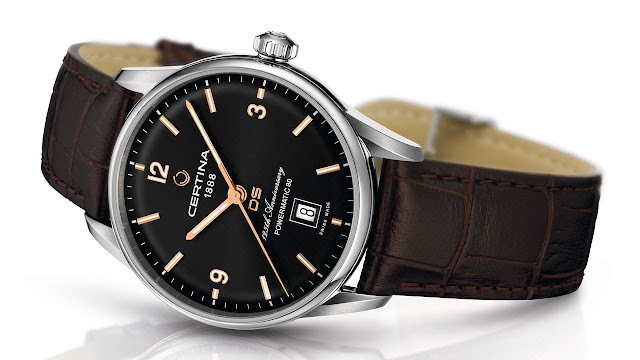 With a new automatic movement that delivers an impressive 80-hour power reserve, the CERTINA DS is the perfect illustration of how tradition and innovation can work together. Design elements rooted in the brand's early days are complemented by more modern aspects such as the pink gold PVD treatment and the transparent back. Bridging past and present, this special anniversary edition DS timepiece is produced as a 5,000-piece limited series.